This small French provincial tall dresser is so whimsical. Hand painted in a custom soft baby pink- sealed with multiple coats of a dark antiquing wax glaze for a beautiful shabby chic / old world finish. Distressed here and there. Beautiful brass hardware that has been highlighted with just a touch of gold gilding wax. Solid wood construction & the drawers work great. This piece will make any little girl feel like a princess! Would look beautiful in a nursery as well. 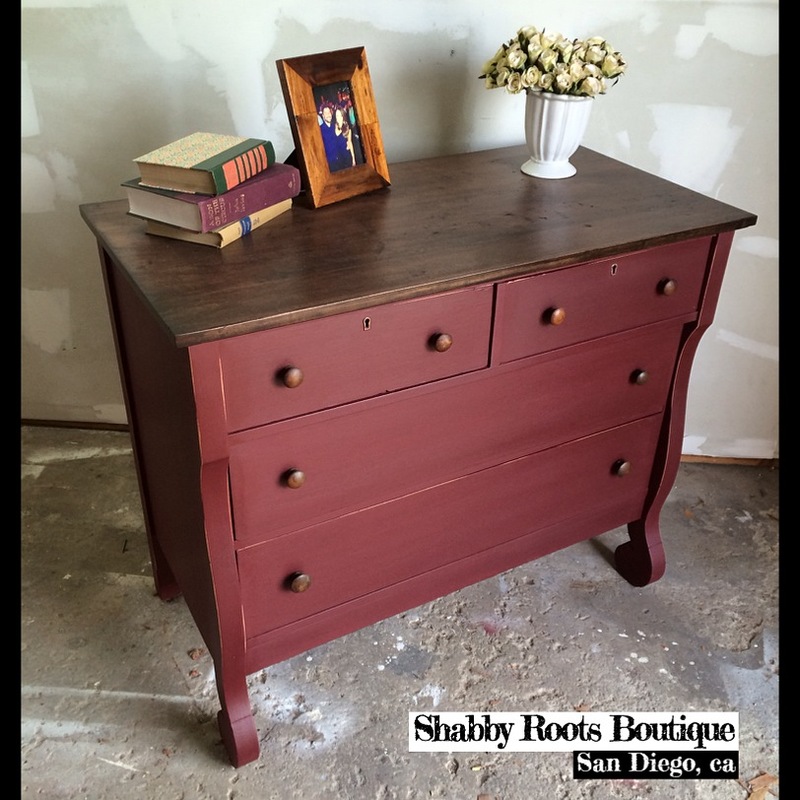 Antique Late 1800’s empire dresser with reclaimed wood top. 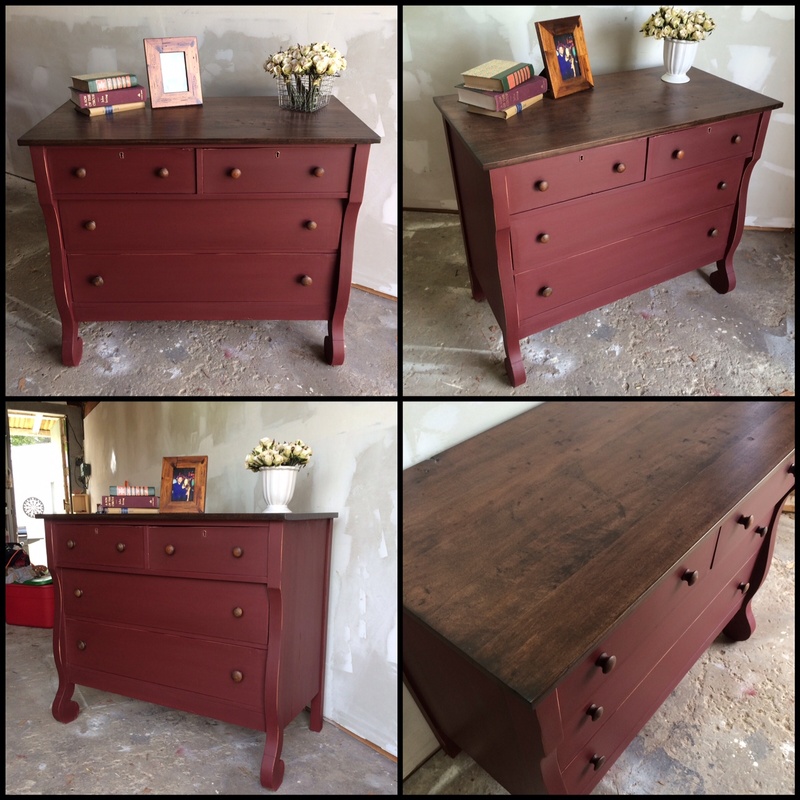 I removed all the veneer off the top of this dresser and i was left with a very rustic top, i absolutely loved how perfectly imperfect it looked so i threw some rich stain on top of it and viola! 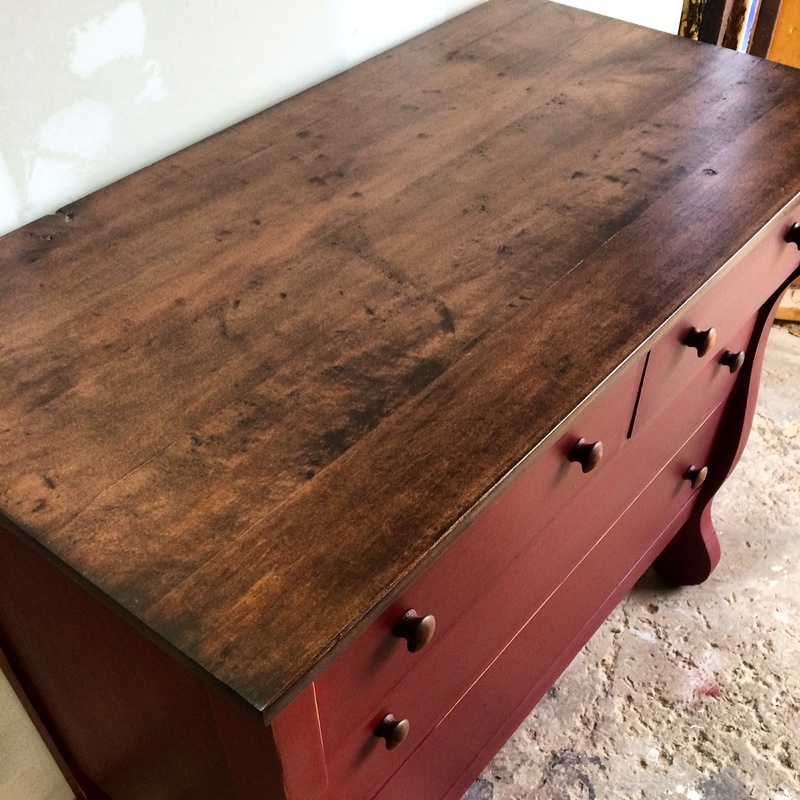 I then painted it in a custom barn red color to play with the rustic look of the top. It came out perfectly!